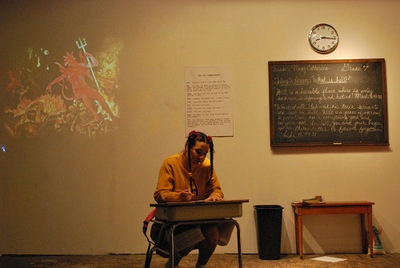 Catholic School was performed at English Kills Gallery on December 12, 2009 as part of the Maximum Perception Performance Festival. 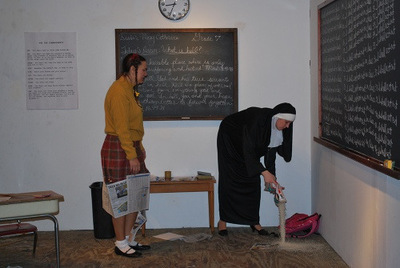 It is a re-enactment of one of my family members’ experience in Catholic school. 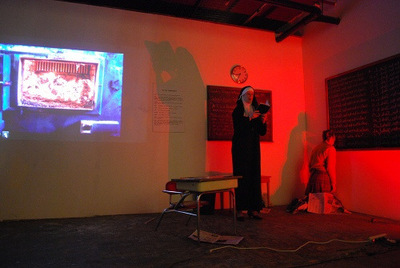 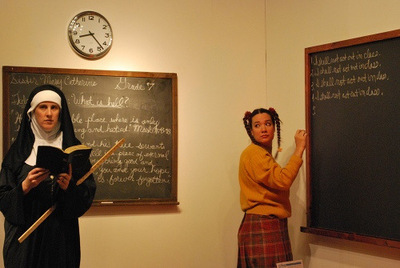 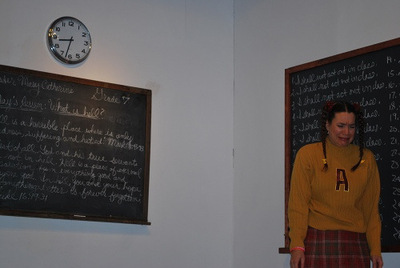 In this piece, I play the bad Catholic school girl and Maggie LeVine plays the mean nun in a space installed to look like a typical Catholic school classroom with projections of images of people burning in hell. 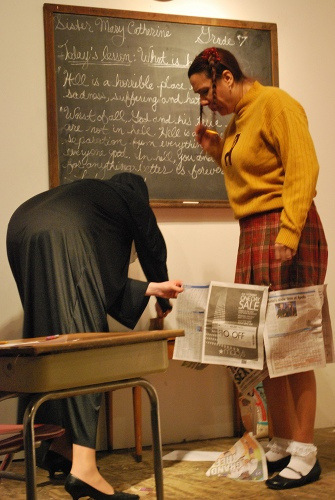 I arrive late to class with a skirt that is too short, and, as was my relative’s experience, the nun pins newspaper around my skirt to cover my legs. 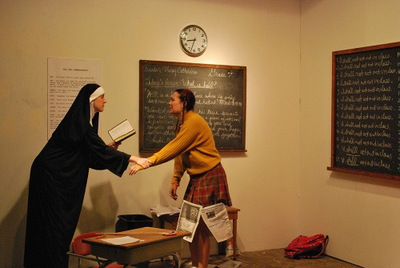 The nun gives a lecture and quiz on Hell and the Devil and I goof off and try to cheat and while the nun disciplines me by slapping my wrist with a wooden yardstick, and making me write out a hundred times on the board “I shall not act out in class.” At one point, I try to steal a friends’ collection of saints prayer cards and the nun yells at me: “I’m going to take you out back and put your hands on the wood burning stove so you can feel what it’s like to burn in hell. 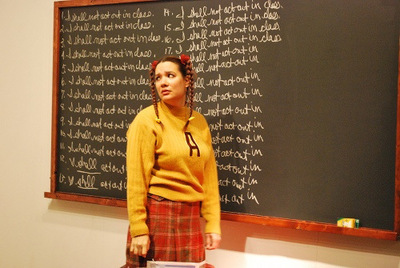 She then makes me kneel in the corner on rice with my nose pressed against a small circle on the blackboard while a sound piece plays of quotes from the bible on hell and damnation.